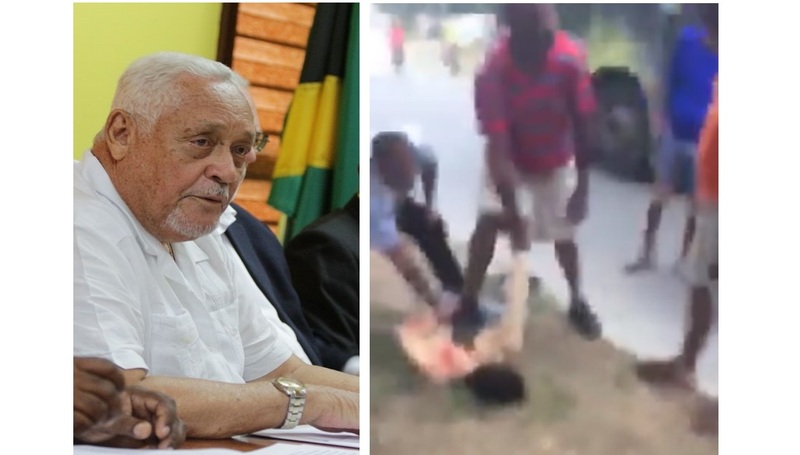 Transport and Mining Minister, Mike Henry, at left (file photo), while at right is a screenshot from a video showing the 'treatment' being meted out to the alleged gunman after he was reportedly disarmed on a JUTC bus. 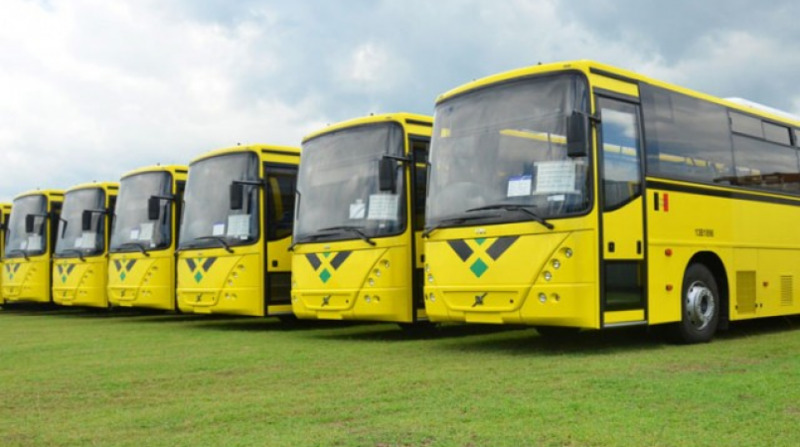 Transport and Mining Minister, Mike Henry, is lauding successful crime-fighting measures which were recent employed by staff and passengers on a Jamaica Urban Transit Company (JUTC) bus in Portmore, St Catherine. A video circulating on social media shows the alleged gunman who reportedly attempted to rob passengers on the JUTC bus on Sunday evening, being detained by the said passengers and bus crew after they had disarmed him and inflicted some severe blows to his body. A man with what appeared to be the firearm that was allegedly taken from the gunman, could be seen circling the man while stomping on his head and neck as the captive attempted to get on his feet. He was rescued by the police shortly after, and the gun handed over to the lawmen. It was high drama on what should have been a routine bus ride for the passengers who came face to face with the alleged gunman. Their bravery has not gone unnoticed, as Henry applauding them for their actions in disarming and detaining the man. 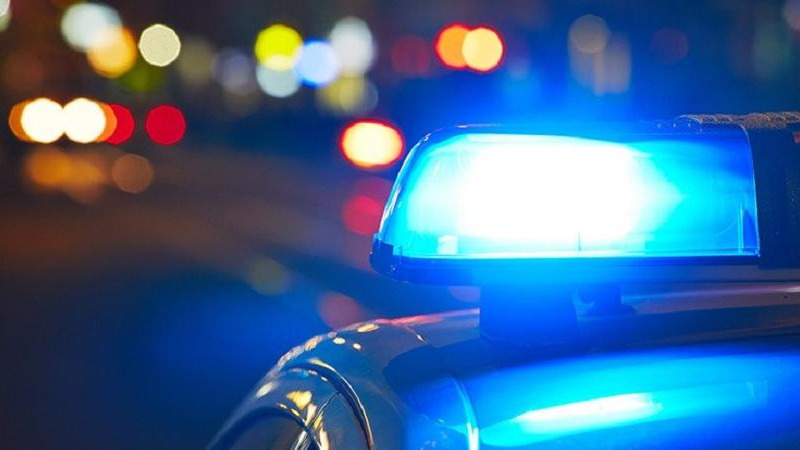 The minister noted that the drama unfolded shortly after 6:00 p.m., when the man boarded the bus on the River Road route in Portmore and allegedly attempted to rob the driver. It is reported that in the process, the gunman pulled the trigger, but the weapon failed to go off. Another employee of the JUTC who was on the bus, took swift action and disarmed the assailant. However, a struggle ensued, which resulted in the employee being stabbed. The injured man was assisted by the passengers, who collectively detained the ‘would-be robber’. 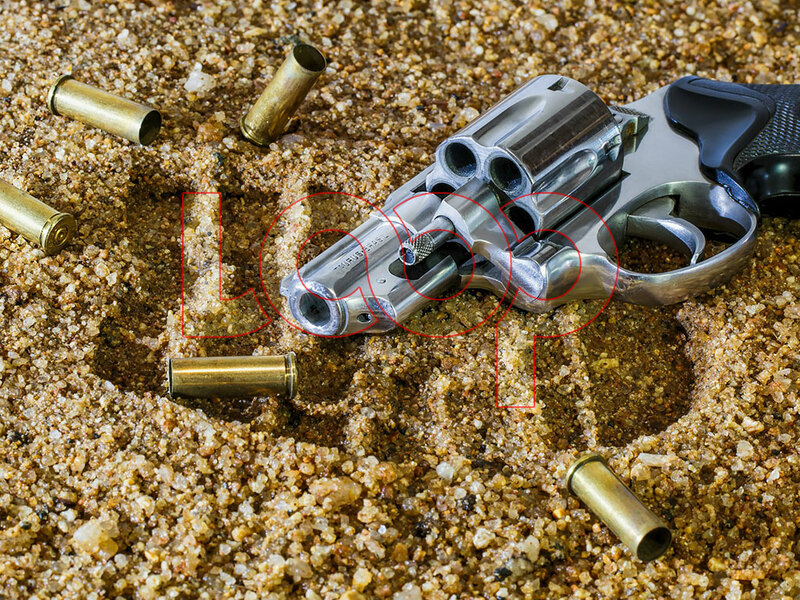 The ‘gunman’ and the weapons were turned over to the police, and the injured JUTC employee is now recuperating at home. Henry commended the passengers for their action in support of the JUTC personnel. He said the incident pointed to the wider issue of crime in the society, and the efforts of the JUTC employees and passengers indicated that the people of Jamaica are slowly recognising the need to stop sitting idly by and allow criminals to hold them to ransom. He said the JUTC will not allow incidents such as Sunday’s to prevent the company from providing service to the Jamaican people.